Metro CEO Art Leahy. Photo by Metro. In closed session, the Metro Board of Directors on Thursday approved a new two-year contract with two one-year options for Metro CEO Art Leahy. Leahy, 64, has been Metro CEO since April 2009. He thanked Metro directors saying their action reflects confidence in the agency's direction, and he looks forward to working with them in carrying out the Measure R program. The Los Angeles County Metropolitan Transportation Authority (Metro) Board of Directors today approved a two-year contract extension with options for two additional one year extensions to Metro CEO Art Leahy following a closed session to discuss Leahy’s employment. ​The two-year contract extension is added to a previous four-year contract entered into in April, 2009 between Metro and the CEO. ​Following approval of the contract extension, Leahy thanked Metro directors saying their actions reflects confidence in the agency’s direction, and he looks forward to working with them in carrying out the Measure R programs. ​Leahy, 64, is considered one of the nation’s leading transportation executives who started out as a bus operator in Los Angeles 42 years ago. 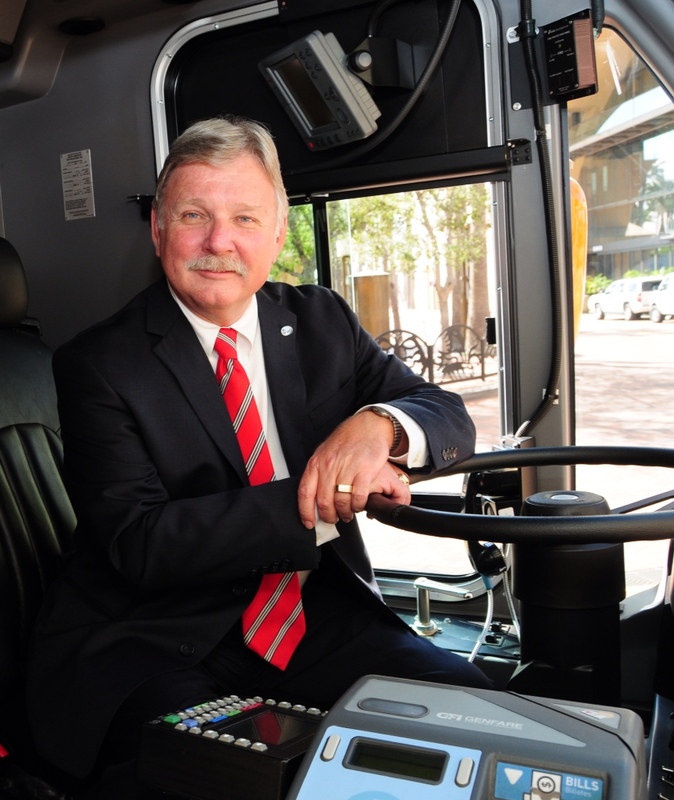 In 1971, Leahy began his transit career driving a bus for the Southern California Rapid Transit District, a predecessor of Metro, while attending college. He worked his way up through the ranks to head operations for Metro, overseeing bus operations and activation of the Metro Blue Line and Metro Red/Purple line, before taking a job as Chief Executive for Minneapolis-St. Paul Transit Agency. ​Prior to becoming Metro CEO in April, 2009, Leahy headed the Orange County Transportation Authority (OCTA) from 2001 to 2009 where he oversaw the planning, financing, and coordination for Orange County’s freeway, street and transit development as well as managed the 12th busiest bus system in the country along with commuter rail and paratransit services for the disabled, among other transportation programs. At Metro, he is charged with leading transportation planning and programming for the county, funding construction of numerous street, highway and transit improvements running the gamut from bike and pedestrian improvements to new busways and rail lines to freeway carpool lanes and sound walls. Metro is the third largest public transportation agency in the United States. It has a $4.5 billion annual budget and more than 9,200 employees. It operates approximately 183 bus routes serving a 1,433 square mile service area and a host of subway and light rail lines that crisscross Los Angeles County. Please tell me they did NOT give him a RAISE! Under THIS CEO, more bus service has been reduced or eliminated over the last 4 years, then in the previous 2 decades combined! I have never seen a more ANTI-BUS RIDER ADMINISTRATION then that perpetuated by Art Leahy!